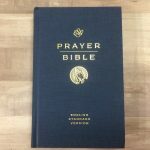 We were recently sent a copy of The Bible From 30,000 Feet, Soaring Through the Scriptures in One Year From Genesis To Revelation by Skip Heitzig to review. 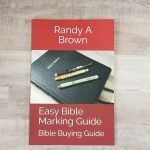 This book is designed to help you step back from the verse by verse view many people use when reading and studying the Bible and help you see the context and significance of it’s many stories and how the Bible fits together. Harvest House Publishers provided this book free for review. I was not required to give a positive review – only an honest one. And I’ll give you the Bible is Skip Heitzig’s claim. He challenges the reader to spend a year reading the Bible and studying it not close up but in big chunks. It would take the average reader about 70 hours to read the bible straight through. Many people have never considered it a book to be read cover to cover though. It’s so vast that too quick of an approach becomes overwhelming or tedious. If you break it down to a weekly approach it would only take you an average of 80 minutes a week. This book is a tool to do just that. A flight plan for breaking it down into weekly sections and setting aside time to reflect upon and apply the Bible’s meaningful truths. Heitzig wants everyone to concentrate on a panoramic view of God’s mind and plan as revealed in Scripture that would be more like looking at the world from an airplane flying high above then out a car window as we pass by. By stepping back and concentrating on the large themes we will have the opportunity to see the context and unity of Scriptures that helps us better understand the finer details. Little would be gained from looking at most books this way but the Bible is unique. Written from both a personal and historical point of view it concerns itself with the fine details of many individuals lives and the large scope of God’s overall plans for man and his provisions for redemption. Studying it up close and from farther away gives us valuable insights. To make this all doable in a year Heitzig has divided his book into 52 chapters. 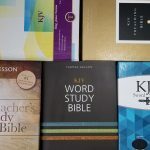 66 books became 52 weeks by combining shorter books (like Micah, Nahum, and Habakkuk) or ones which tell the same story (like the Synoptic Gospels). Each chapter has a facts section and a commentary section. Facts: Who authored the book and when was it written? Landmarks: What are the key themes of the book that we can use as a guide to better understand it? Gospel: How does the book relate to the overall message of the gospel, to Jesus Christ? History: What was happening from a historical perspective when this book was written? Travel Tips: What are some of the key lessons we can learn from this book? I really like the layout of these sections and the information contained in them. Knowing the author, date, and historical context (Facts & History) help you understand the viewpoint of the writer. Having an outline (Itinerary), main theme (Landmarks), and key points (Travel Tips) written out for you before you read a book helps you not to miss the important details even when you read quickly. 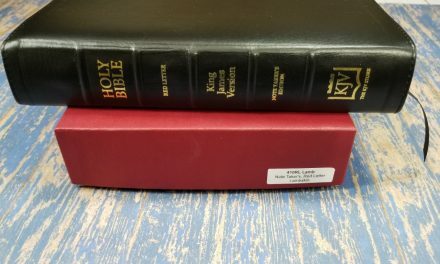 The Gospel section shows how the Bible’s most important message (salvation through the death, burial, and resurrection of Jesus Christ) is contained in every book of the Bible. This is a well thought out and designed synopsis of the Bible. As long as they keep in mind that portions of it are Heitzig’s opinion it will be very useful to gain a basic understanding of the Bible for new coverts. 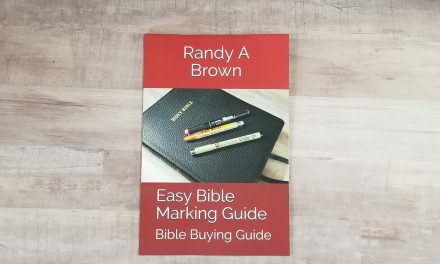 It will help those trying to read the Bible straight through for the first time be more efficient without missing key points. It will also possibly help long time readers of the Bible to step back and see the underlying themes and how Jesus is the central figure of the whole Word of God. While I am sure that is the author’s intent, I wish he had stated more clearly and strongly that you should read this along side your Bible not instead of a Bible. I recommend The Bible From 30,000 Feet to those who plan to read it side by side with their favorite copy of God’s Word. I would enjoy using this book along with my daily Bible reading. I already use similar resources (e.g., introductions in study Bibles, The Bible Project videos). When I order a copy, I’ll be sure to use your Amazon link. Thanks for the review. Glad you liked the review. Thanks for using our links.